The Libby High School music program has welcomed the new up and coming band director, Matthew Krantz. Starting his student teaching job here in Libby just this fall, many can already tell that he will be a great asset to the Libby High School Band. So far, Mr. Krantz has been loving Libby. “ The community has been absolutely wonderful and very welcoming,” he told The Montanian. Some future ideas Krantz has include a half-time show during the Libby Logger Football season, and some new interactive music to get the student section more involved. Krantz, originally from Helena, Mont., attended the University of Montana in Missoula. He participated in the U of M marching band, graduating this year with a drum major. The other two main instruments Krantz played while in college are saxophone and clarinet. Because of Kranz’s profession as a band director, he is also proficient in all of the instruments played in a band. The Libby community was officially introduced to the new band director at the Libby High School’s first concert last Tuesday, October 23. This was Krantz’s first time directing a concert by himself. The concert went without a hitch, and Mr. Krantz presented himself in an enthusiastic and upbeat manner. All of the participating bands performed well, and the high school band announced that they will be fundraising for a band trip to Seattle, Wash. this spring. 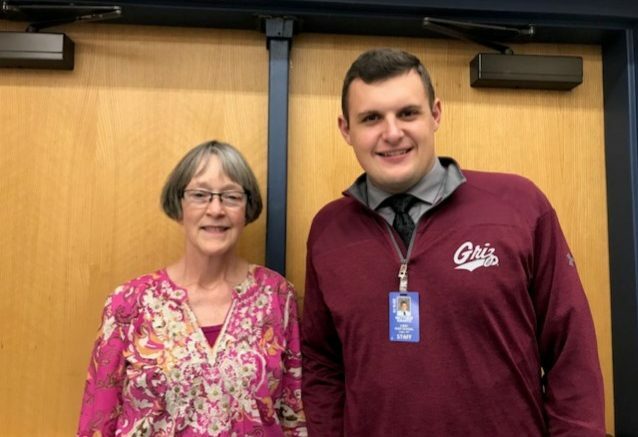 Although the Libby School District will miss Mrs. Nagode, it is lucky to have Mr. Krantz as the new band director.